by Paul Cunneen, President of the Associated Locksmiths of Ireland (ALOI). This is a new law that forbids any contractors in from operating within the Republic Of Ireland, in the Access control or CCTV sectors without a PSA (Government) licence. This will also affect UK companies from operating in the Rep. Of Ireland, and would be extremely difficult for these companies to obtain the licence. Part of the licence requirements are a valid Irish C2 (Tax clearance certificate) for each and every director in the company, Irish Gardai vetting certificate (Police vetting and certificate). UK CRB check is not acceptable (as any offence in Ireland must be checked as part thereof). The author of this study has often been an object of intense study by Uniformed Private Security Guards. In response, he has spent much time in turn studying them and their behavior. Here is the fruit of that study. Read it, and you will have a clear understanding of the concept of Gluteal Hardness. Cybercrimes have become the No. 1 worry of publicly traded U.S. companies, in terms of potential litigation and financial losses, according to a recent survey of the Chubb Group. Fully, 63 percent of the respondents said they were most concerned with losing customer or employee data through an electronic security breach. In an article in PC Advisor an insurance company data breach that exposed 1.1 million people to identity fraud exemplifies the kind of cybercrime that companies increasingly fear will land them in civil court. 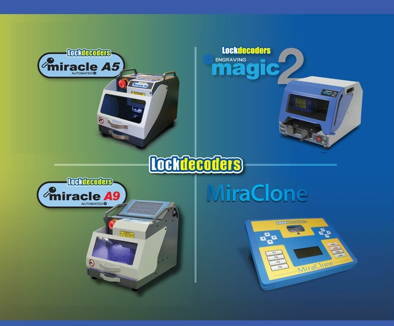 Lockdecoders have kindly sent us some photos from the annual Turkish Locksmith exhibition they attended in Istanbul. Held from the 23rd to the 25th November, Peter Southern says: "What a well turned out exhibition it proved to be! I think about 800 people attended and we were there for the first time with our new Turkish Distributor Severn Security Systems. You don't need us to tell you it's tough on the high street with music store HMV going into administration, quickly following camera retailer Jessop's demise. For this industry the cessation of Citysafe Wholesale is a blow much closer to home. This company had planned to exhibit at the Locksmiths' Exhibition - fortunately a replacement soon filled the gap (see item below). For both Jessop's and HMV it seems that failure to adapt to new technology and keen price competition brought about their end. One way to make sure that you and your business does not follow the same untimely path is to visit the Locksmiths' Exhibition in March where not only will you see the latest technology on show from the industry's leading lights - but you will be able to pick up many fantastic show offers on products as well, helping to keep your own costs down. Remember, f you choose not to visit, around 1200 of your contempories will, so make sure you are not left behind. As a BONUS for ACTUAL attendance at the show Locks and Security Magazine will offer a full years subscription of 6 issues for just £12 if you register on the door or £10 if you have pre-registered - makes sense to pre register. Taxpayers have had to foot a £330,000 bill for changing the locks at four prisons after guards lost their keys, ministers have admitted. a new Conservative justice minister, said that the prisons had to have all their locks replaced over the past two years as misplaced or stolen keys caused security scares. The Ministry of Justice declined to say which ones were affected, but there have been a number of reported incidents involving missing keys. UAP TradeLocks have had a positive start to the New Year with a new addition to the team in the form of accomplished locksmith, Warren Rockley. Warren, who has over ten years' experience in all areas of locksmithing and who has run his own successful locksmith company in Stoke, has joined UAP TradeLocks to take charge of the day to day running of the locksmith supplies division of the company. Almost 200 people have registered on the www.lockexpo.co.uk site - over 100 in the last week! This will allow them to print off or download the QR entry code and to update their details. It also means that future shows, including ALEX next October. All you will need to do is log in and request your QR code. A one time registration for all future shows! Just a quick login for each show and it's done. The login will also give you access to other things like booking training etc.